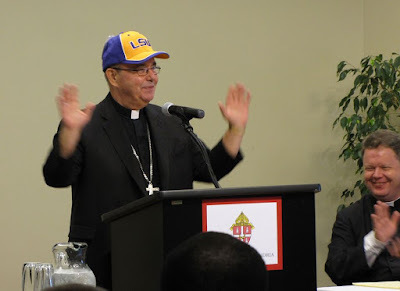 Even if Lord only knows how Louisiana's 43,000-member diocese of Alexandria nabbed the top pick in the Episcopal Draft, the surprise result's nonetheless come to pass: at Roman Noon this Wednesday, the Pope named Bishop David Talley – the 66 year-old Atlanta auxiliary desired for no shortage of open sees – to the southern Louisiana church as coadjutor to Bishop Ronald Herzog, who reaches the retirement age of 75 next April. Along those lines, it's been no secret that today's nominee was headed somewhere, but figuring out the "where" has produced an unusually concerted tug-of-war over the last year: some sought him for Memphis, others St Petersburg, others still for Arlington – the latter two roughly 20 times the size of the Louisiana slot where he's ended up. Yet given reports of concern over the state of morale in Alexandria, he's ostensibly been sent where his skill-set could accomplish the most good. On a historic note, as the 20th anniversary of Cardinal Joseph Bernardin's death approaches in November, today's appointee is the first auxiliary sent out of Atlanta since 1972, when the future Chicago cardinal was named archbishop of Cincinnati (hence the placeholder). Given the remarkable dynamism and scope of a 404 fold spanning 69 counties and grown sixfold since 1990 – often boasting the US' largest RCIA classes, to boot – it doesn't take a rocket-scientist to expect a petition for a new auxiliary to join the already deep pile of major Stateside outposts awaiting assistant hats, some of which have been pending for two years or more. Having already switched SEC gear at this morning's rollout to his new presbyterate (above), Talley's Mass of Welcome is set for November 7th. While today's nod doesn't impact the nation's diocesan docket, it bears reminding that just two US Latin sees – Salt Lake and Dallas – stand vacant, with another nine led by a prelate serving past the retirement age until a successor is chosen. Born a Southern Baptist – and, ergo, just the latest of several adult converts (Swain, Conley, Bevard) named to the bench by B16 – the bishop-elect spent over a decade as a case-worker for abused children before being ordained from St Meinrad in 1989. Given the nominee's pre-seminary background, Talley's being shortlisted by the global church's emblematic figure of "zero tolerance" and restoring trust sends a deeply potent signal, especially amid developments elsewhere into the present. After returning from the Gregorian with a JCD, the new auxiliary served by turns as Atlanta's vocation director, judicial vicar, chancellor and at the tribunal before entering parish work full-time in 2003. On another front, meanwhile, even before his degree in the canons, Talley becomes one of just a handful of US bishops to hold a master's in social work; the others include the USCCB vice-president, Archbishop Joseph Kurtz of Louisville, and Bishops Jaime Soto of Sacramento, Paul Bradley of Kalamazoo and the Philadelphia auxiliary Timothy Senior. Unlike Talley, each of the others had run Catholic Charities in their respective hometowns before becoming bishops. 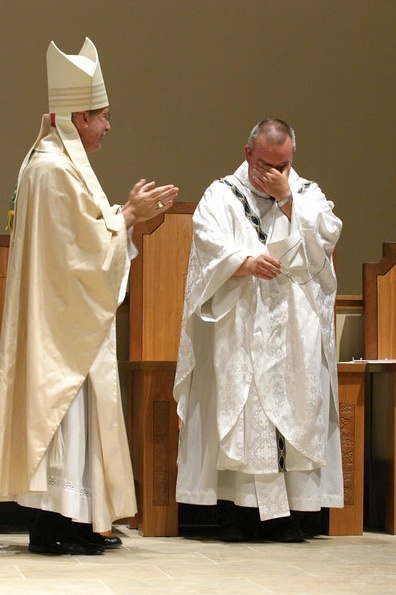 Having led the building of a 900-seat, 36,000 square-foot church for the 2,500-family flock of his last pastorate, in 2011 Talley was sent to the even more massive St Brigid's in Johns Creek, home to nearly 5,000 families and – so the parish website says – no less than seven permanent deacons. The page likewise features a full archive of Talley's weekly bulletin columns, which chronicle all the "happy problems" of a church busting at the seams. Before the appointment of the ever-smiling, Colombian-born [Luis] Zarama – who came to the archdiocese as a seminarian – in 2009, the Hotlanta church (which spreads across some 22,000 square miles) had not received an auxiliary since 1966, when Msgr Joseph Bernardin of Charleston was named at 38 to aid the ailing Paul Hallinan, the son of Cleveland who became the Southeast's first archbishop four years earlier. 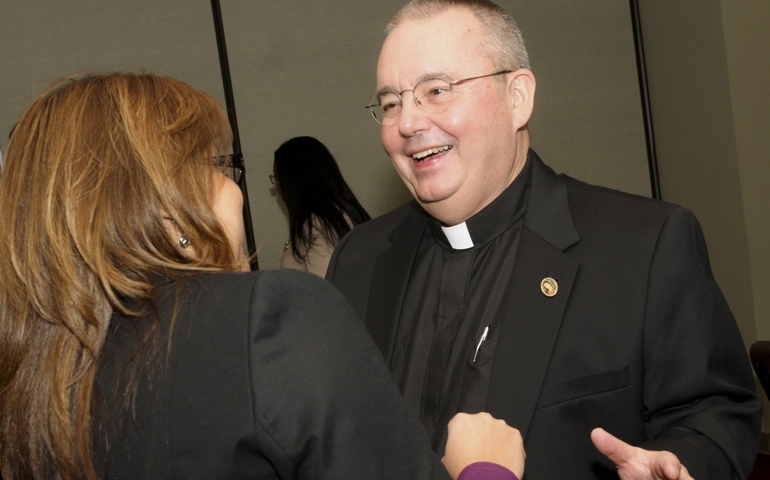 Like many of the local clergy until recent times – legions of "FBI" notwithstanding – all but one of the subsequent Atlanta prelates hailed from points North or Midwest, and only with today's move can the 404 boast its first native-Georgian bishop.